> > > I still live in 8 and 16 bit land. What you mean by 16-bit land? MPC430? > upgrade. BGAs and similar under fill packages are an inspection and design diagnostic nightmare. > 2. Large amounts of memory are only available in packages I have no interest in using. 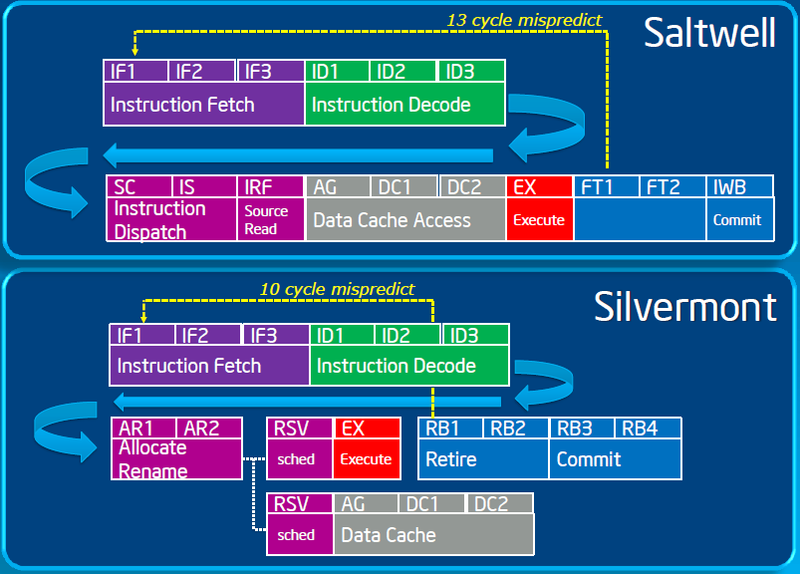 > for an asynchronous SRAM interface would be fun even if it limited performance. > to 4 times, for less performance (see 4), functionality, and memory. > problem I mentioned in my other post which as far as I could tell still exists in the newer Cortex designs. > bit registers, orthogonal instructions, and high clock speeds with pipelining. > power requirements in my case but I am sure it is a solvable problem. In my book, not having to deal with Microchip development tools is a huge plus for STMicro and NXP that outweigh just about any minuses. TI tools? Well I, personally, don't like them, but they are still far less strange than Microchip's. About combination of package/RAM/price: can you give me an example of 8-bitter in a package you like, with amount of memory you like, that can't be matched feature-for-feature with LQFP from either STMicro STM32 series or by TI Piccolo or Delfino series (well, those are not ARM-Cortex, but also small 32-bitters) while the later only x1.5 or so more expensive? Oh, and don't forget yet another small 32-bitter - Freescale Coldfire-based V1 and V2 series. It is still alive, too, and still has features that others don't have. Like on-chip Ethernet phy. As to your other points, I don't quite understand a point about bit-oriented I/O. Do you mean bit-banging? IMHO, GPIO modules on both TI C28 and STM32 are pretty well designed. What features you found are absent? About parity: we are in violent disagreement. But you already figured it out from the previous posts.